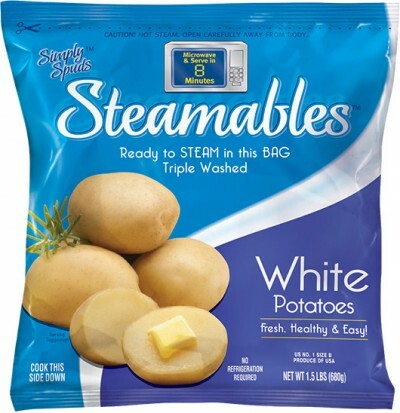 Microwave Simply Spuds™ Steamables™ in their bag according to directions. Use caution when removing the bag from the microwave; package will be HOT! Carefully cut the bag open and pour the potatoes into a serving bowl. Mash potatoes with potato masher. Add butter; stir in milk until desired consistency is reached.